We are proud to announce that Christopher Boucher, a fourth year law student at ALU, has been selected for the 2017 National Public Employer Labor Relations Association (NPELRA) Foundation’s Anthony C. “Tony” Russo Scholarship award. The Foundation provides scholarships to graduate students studying labor and employee relations or a closely related field. Christopher was selected among a national pool of candidates for his commitment to professional development as a law student at ALU and for his contributions to the field of public sector labor relations as the Director of Human Resources for the Port of Oakland. The Port owns and manages the fifth busiest container seaport in the U.S. and the second largest San Francisco Bay Area airport (Oakland International Airport). Christopher currently serves as the President of the Northern California Chapter of the International Public Management Association – Human Resources (NCCIPMA-HR) and is a Board member of the Public Employer Labor Relations Association of California (PELRAC). “Christopher is a student that exemplifies excellence in his field that he will combine successfully with law studies,” says Jessica Park, director of ALU’s Juris Doctor Program. The scholarship was established in honor of Mr. Russo, a retired New York City Director of Labor Relations, who was active in and prominent throughout the entire field of labor relations. 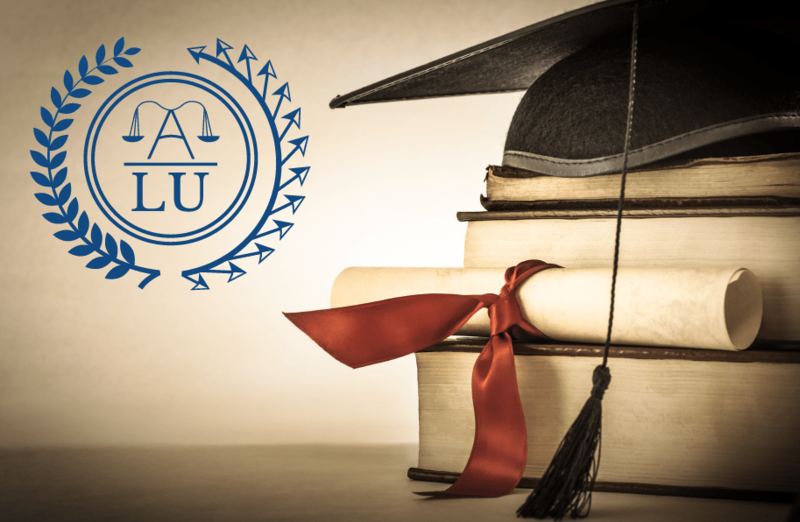 If you’re an ALU University or law student, send us your achievements – we would love to highlight them and honor you.